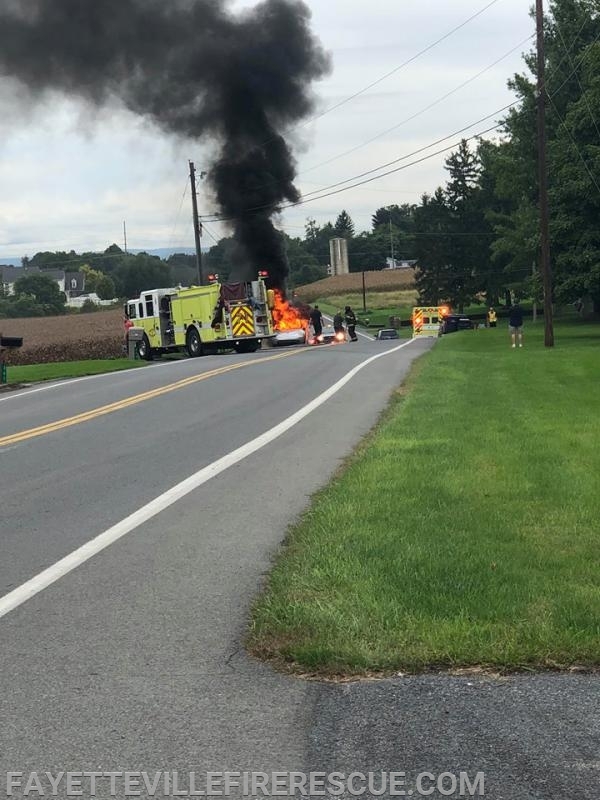 Units were alerted and responded to 390 Ragged Edge Road for a reported Auto on Fire. En route, Greene 1 arrived on scene to find a VW well off. E7-1 arrived on scene shortly and confirmed transmission made by Greene 1. Crews jumped out and made a quick knock on the Auto. The driver of the auto was unharmed. All units cleared at 13:21 hours.